Oprah, I Eat Vegan Too! As I’ve said before, with the exception of only a few months in a college apartment, I have spent my entire life on the ranch. Whether it was in Arkansas, Oklahoma, Wyoming, or Texas, I have been immersed in a life of food production. Because of this lifestyle, there are many things I miss about life outside of Agriculture. But Oprah, you helped me learn something. Yep, this 22 year-old cattleman from Arkansas watch the Oprah Winfrey show discussing veganism. I was inspired by all of the conversation about food choices, and the choice to go vegan. (Might I mention, when I heard the term “vegan“, I was expecting a discussion over all of the daily products we use that originate from animals. Abstaining from consumption of animal food products is referred to as being a “Vegetarian.” Quite the difference.) I was inspired by the fact that people are open to “radical experiments” like veganism, and that Oprah encouraged views to learn more about the origins of their food. And I was thrilled when visits to a feedyard and Cargill processing facility were included, but that is not where beef is produced. Food has much deeper roots than that. I will have to admit, I am confused by one term used in the show: food hangover. According to UrbanDictionary.com a food hangover occurs after a food party (Party where you binge on food not alcohol) or just eating large amounts of junk food, you will get high of sugar or protien then crash into a food Hangover. Food Hangover symptoms are vomiting, head aches, and other unpleasant side effects to eating delicious food. The more extreme version of a stomach ache. If someone has a real definition, I would appreciate it. I looked but could not find one. So you may ask, how does this cattleman eat “vegan-ish”. I eat a balanced diet; just as all of the food experts and nutritionists recommend. I eat potatoes and a salad with my steak. I keep a full stock of Rotel in my pantry, and every summer grow healthy, fresh vegetables in my backyard. I also use my education in meat science and animal nutrition to produce heart healthy, lean beef for my table. But I find it difficult to go vegan because so many products I use each day come from animal by-products. Not to mention that I depend on cattle for my livelihood. 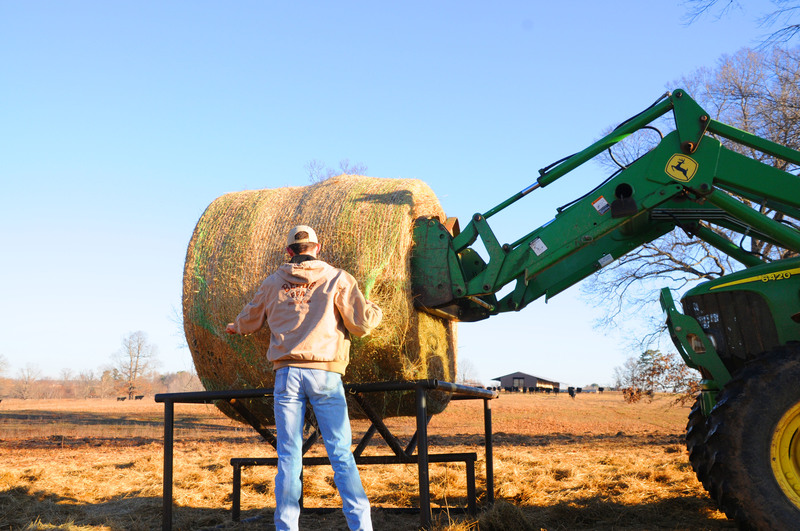 Farmers and Ranchers are more than laborers. I would say we learn to use technology with the best of them, study chemistry, biology, mathematics, and psychology with the best of professionals, and we know our environments better than some scientists. We go Beyond the Beef. Ranching is my passion, especially calving season which is on the horizon. If tomorrow Oprah calls and invites me to come to Chicago, I would embrace the opportunity to share the story. 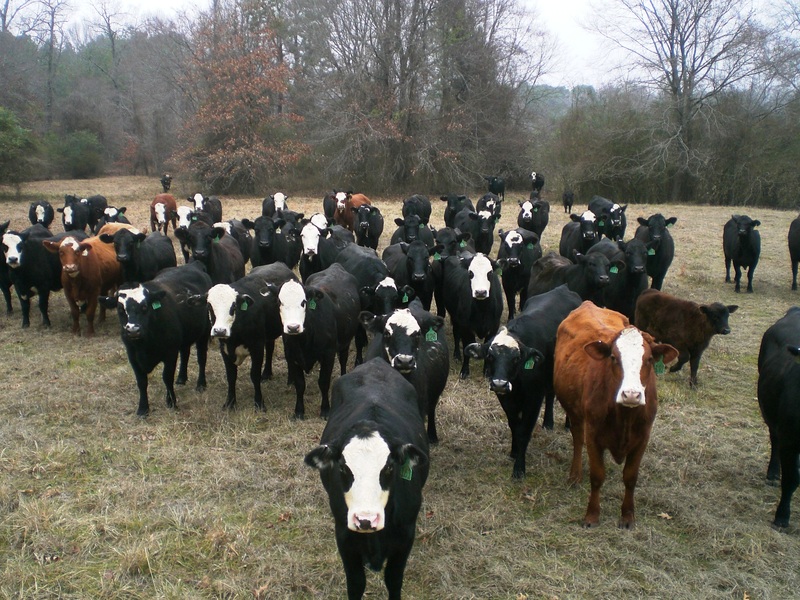 I would love to share my story of life on the ranch in Arkansas, and how I work to produce beef for your table and fertilizer for your vegetables. I do not know if Oprah will get this message, but I thought I would throw it out there. Very well said, Ryan. I did not study the things you did in school but we were made to take a course on nutrition in the first year of high school and I learned what I needed to consume for good health. As you know, I was a city girl and my husband and I spent our life raising beef cattle. We studied animal nutrition and health on our own and we were good stewards. I love beef. The nutritonal value is well known (or should be) and the taste of good beef is something I, and many others enjoy. If someone wants to be vegetarian, that’s their choice. I just hope they have a good knowledge of nutrition so they can do it healthily. We had purebred breeding stock and ran a feedlot for a number of years and our animals were treated well and kept healthy. It would have been foolish not to do so. I have no idea why agriculture is such a target when we provide one of the essentials for life. Keep up the good work! I watched this, and I thought it was great that we got to take a look at the Cargill operation, but I really do wish they had talked about the early stages of cattle production- lots happens before cattle are shipped to a feedlot. But I really thought the Cargill general manager did a really great job- the other guy that was up there with her (I guess he was the one advocating for a vegan lifestyle?) suggested that Cargill is more an exception and that a lot of processing facilities are seedier and dirtier, but she really turned the discussion around by talking about how in every step of processing her employees treat the animals with respect and dignity, and that they realize they are handling peoples food. She also briefly got to say she employed 2000 people, and then Oprah cut to break- but I feel that was a topic that definitely should have been explored more- the sheer numbers of people that work in agriculture and how a vegan lifestyle would affect them!